Starting an emergency food stockpile is one of the most important things you can do to get prepared. However, trying to figure out the best emergency food can be a daunting task. It is possible to start with canned goods and other non-perishable foods, or even preserve your own emergency food. However, when you break down the cost of emergency food (not to mention convenience and reliability), you’ll find that buying it from a reputable emergency food brand is often the best way to go. My family’s food storage is built out of a variety of different brands and products — including kits, freeze-dried bulk foods, canned goods, and foods we preserved ourselves with DIY methods like vacuum-sealed Mylar bags and buckets. You will probably also want to take this varied approach. While there is no one “best” brand of emergency foods, there are some I like a lot better than others. Here, I’m going to review 5 of the top brands. Full disclaimer: We do have an affiliate deal with these brands. If you buy something from them, we get a small percent (which helps keep this site going!). This will not affect our reviews in any way. More on how we review products here. ​Also note that I haven’t tried every single product from these brands. To rate taste and texture, I took into consideration my family’s favorites as well as feedback from friends and people in forums. 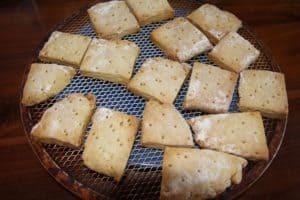 For those on a restricted diet you might find this post on gluten free survival food useful. Macronutrients like carbs and protein are very important towards making sure you are meeting your nutrient requirements. I also paid attention to how much sodium was in meals. Too much sodium (especially while hunkering down) could be disastrous for your health. Anything less than 5 years is unacceptable for long-term food storage. Most of the brands here have shelf lives of up to 25 or 30 years. The packaging needs to be sturdy enough to withstand damage from disasters like hurricanes and flooding. The meals/foods should also be packaged in smaller portions so you don’t end up throwing away food after opening the package. Most cheap emergency meals are comprised mostly of cheap ingredients like pasta or potatoes, with a few veggies and textured vegetable protein thrown into the mix. Rarely will you find emergency meals which actually contain meat. All of the brands listed here have products which are very easy to prepare. Basically, you just add hot or boiling water. Planning emergency foods can be really confusing. Many brands make this easier by offering “kits.” For example, you might start with a 1-month food kit of freeze-dried meals and essentials. This is a lot easier than mixing-and-matching freeze-dried veggies, meats, and grains to make your own meals. Taste is very important when choosing your survival food. Just be warned that a lot of the better-tasting emergency foods only taste good because they are loaded with sodium and chemical flavoring. Obviously, the cost is important – but not at the expense of the points listed above. For each brand, I calculated the cost per serving of their meals (taking calories and quality into consideration). Weight: Some emergency food brands boast that they are the “cheapest per pound.” The weight of a kit isn’t actually that useful when comparing options. 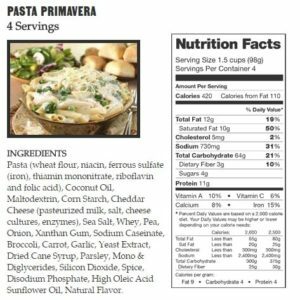 Many brands load up on heavy foods (such as pasta) and skimp on foods like freeze-dried meat, fruits, and veggies (which you need for micronutrients). 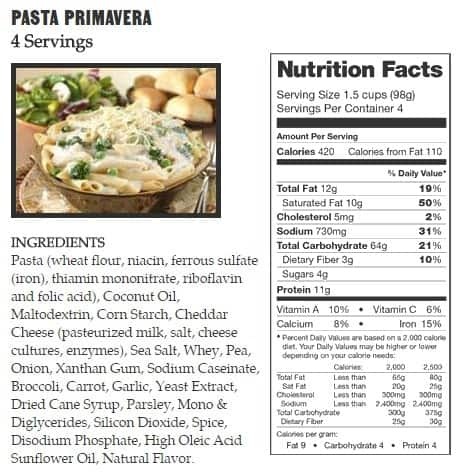 Servings: When buying survival food kits, you can’t just look at the listed number of servings included. You need to pay attention to calories. Read closely and you’ll see that a “serving size” is usually around 200-300 calories. 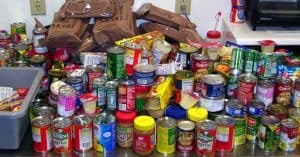 Do the math and you’ll find that the emergency kits only provide around 1000 calories per day. Survival Food for Emergency Kit? Freeze-dried meals: Just add water and cook for a few minutes. Bulk foods: Such as freeze-dried pastas, dairy, meats, veggies, and fruits. Option 1 is obviously the easiest method. Just calculate 3 meals per day (or buy a kit) and you are set. However, this approach can be pricey. Meals are also usually loaded with sodium and sugar, so this isn’t necessarily the healthiest choice either. Option 2 is a lot cheaper than buying meals. 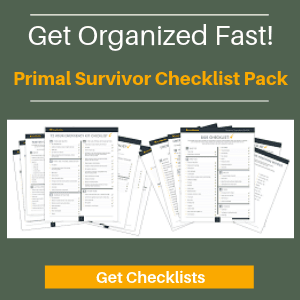 However, you’ll have to do a lot more planning – like figuring out a bunch of “survival recipes” and calculating how much of each ingredient you’ll need. If you don’t do this, you’ll probably end up eating a gross mash of veggies and rice almost every day. If you primarily stockpile bulk foods, you’ll also need to stock up on condiments and spices. Otherwise, your DIY meals are going to end up tasting really bland. Try making a meal out of just freeze-dried bulk foods and you’ll see what I mean. The best solution? A bit of both. Get some entrees and breakfasts. These are very convenient for short-term emergencies where you don’t want to open an entire pouch of freeze-dried bulk foods. Supplement these meals with cheaper bulk foods for a well-rounded stockpile that won’t cost a fortune. Valley Food Storage is a good balance between everything you’d want from emergency food. They are very affordable, have decent nutrition, and a great variety. Unlike some other brands, you won’t be stuck with just a bunch of soups and variations of mushy rice pilaf. *Valley Food Storage used to have a “Customize Your Own Kit” option. You’d input the number of people and days you want to plan for. They’d calculate serving requirements. Then you could choose the exact foods you want (Hate broccoli? Skip it. Love red pepper? Add more to the kit). Unfortunately, this tool is gone from their website. Once the tool is back (Feb 2019 is their target), they will hands-down be the best emergency food brand. Best For: People looking for a value, variety, and nutrition. Valley Food Storage products have a very low cost per serving. When you consider the quality and nutrition of the food and meals, they are great all-round value. 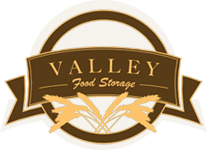 You can buy individual foods or kits from Valley Food Storage. Their “Basic 1-Month Kit” is okay, but it is their “Premium 1-Month” and “3-Month” kits which really deliver. You’ll get 5 breakfasts, 11 entrees, 3 types of freeze-dried meat, and freeze-dried cheese. These are things you’ll actually want to eat! Like with most emergency food, Valley Food Storage packages their products in Mylar bags with oxygen absorbers. If you buy one of their long-term kits, these bags will be put in a sturdy bucket. I like that the bags can be easily resealed after opening. When it comes to sodium content, Valley Food Storage is one of the better emergency meal options. Each meal still contains a lot of sodium (about 600-800mg for most entrees). However, this is still a lot less than you’ll see with other brands and will help you stay below the daily limit of 2300mg. 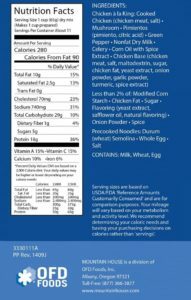 Of course, this low sodium amounts means that Valley Food products don’t taste as good as their unhealthy counterparts. Luckily, the texture is still good on their products. Be warned that the entrees don’t actually contain meat. Even the entrees like “Chicken and Rice Pilaf” only contain chicken broth, and not actual chunks of chicken. When it comes to freeze-dried meat, Valley Food Storage has one of the best deals. It comes out to about $2.50 per serving for meat. Their other freeze-dried foods are also very affordable. You can purchase entrees from Valley Foods individually. Even when bought by themselves, the cost is still reasonable at about $2.40 per serving. Once you buy kits, the costs get much lower. Depending on the kit, the price is only $1.37 to $1.65 per serving. When using the “Customize Your Own” option, note that they give discounts based on how much you order. Spend $200 and you’ll get 5% off. The more you spend, the more you save. When it comes to emergency foods, Wise is one of the best known brands. They have been around for a very long time and have a good reputation in the prepper community. Wise has a huge selection of emergency kits at affordable prices. You can also buy foods individually to create your own meals. However, the prices aren’t as good when you buy products individually. 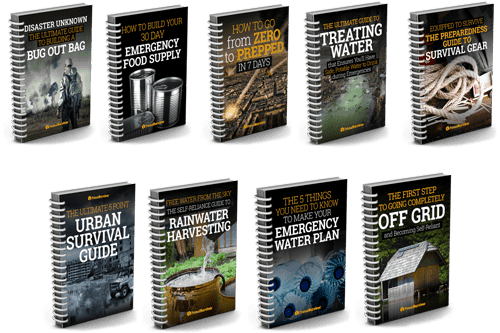 Because of how reasonably priced their food kits are, and because they offer a lot of variety in the kits, these are great for preppers who want to quickly build a stockpile of 30+ days’ worth of food. Wise has a huge selection of freeze-dried foods which are packaged in pouches. 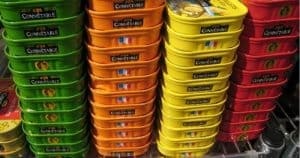 For the best deals, you can buy assorted buckets of their freeze-dried foods. Wise Food packages their products in Mylar bags, which are then put in buckets. Each Mylar bag usually has around 8 servings in it. The packaging is very reliable and convenient for emergency situations. Depending on the product, the shelf life is usually 10 to 25 years. Like with most emergency food brands, you aren’t going to get real meat in the meals. They are mostly loaded with starches and cheese, but low on fruits and veggies. However, the protein content of the meals is pretty good at about 16 grams per serving. Even if the servings are low calorie, the protein will help you feel full longer. Do note that the sodium is VERY high for most entrees at about 1300mg per serving. If you want to buy individual pouches or entrees from Wise Food Storage, it ends up being fairly pricey. However, as soon as you start buying in bulk, the food quickly becomes affordable. As of writing this, the price per serving for their 6-month individual kit comes out to about $1.98. Even if you are just buying a 1-month kit, the price is still reasonable at about $2.30 per meal serving. Augason Farms isn’t as well-known as the other emergency food brands. However, they are actually one of the best picks for people who want to build their own stockpile. They’ve got a lot of freeze-dried foods that you won’t find with other brands, such as freeze-dried mangos, French toast, and lots of cheesy sauces. Just be warned that their 30-day kits do NOT contain this amount of variety. The kit is cheap – but incredibly basic and contains boring foods like plain mashed potatoes. You are best building your own kits. Ideal for people who want to save money by building their own kits using freeze-dried foods instead of just meals. 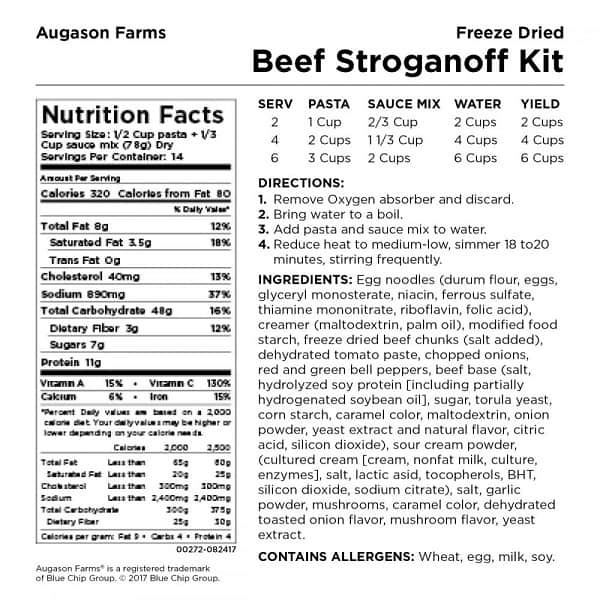 Note that there is a huge variety of freeze-dried products offered by Augason Farms. They have options that you won’t find from other emergency food brands. Great for foodies! I also like that their foods are packaged in cans. Each can contains 3-4 pouches of food, for a total of 12-16 servings per can. This is certainly healthier than eating just freeze-dried meals, but incredibly boring. You’ll want to stock up on some spices and condiments to make the food more interesting! Most of Augason Farms products come in #10 cans with a shelf life of up to 30 years. When you open the can, you’ll find smaller pouches with about 4 servings each. This makes it really convenient to use the foods – you can open a can without having to worry about using everything at once. Augason does also offer some food buckets, but most of their emergency food kits contain the #10 cans. Meals by Augason Farm are fairly low on protein – just about 6 grams per serving. However, their meals tend to have more calories than other brands (about 240-300 calories per serving). 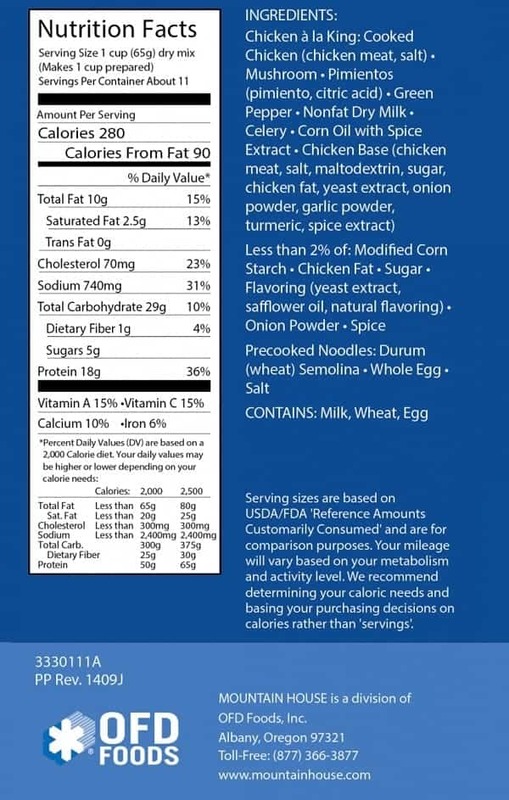 There is also a lot less sodium in their meals than you’ll find in other brands. 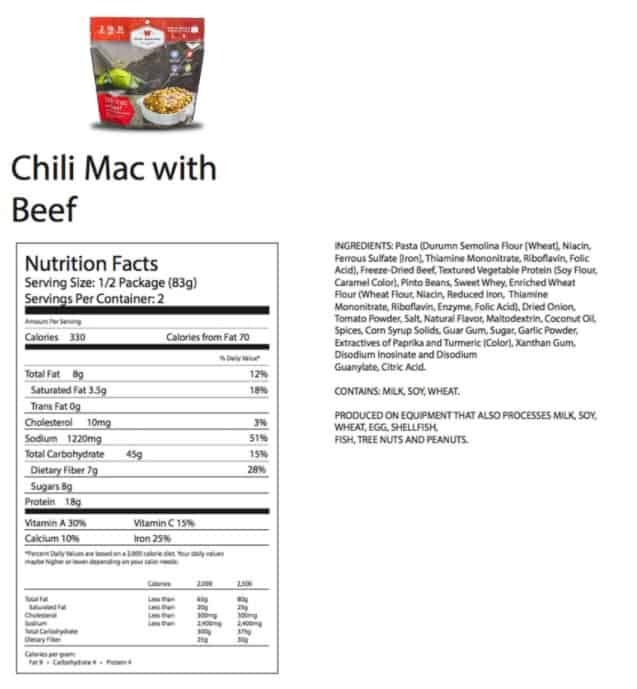 It is also worth noting that some of the freeze-dried meals actually contain meat and higher amounts of veggies. They aren’t just loaded with starches and cheese. At $139 (for 309 servings, 54000 calories), Augason Farms has one of the cheapest 1-month food supply kits you can buy. However, note that their kits don’t contain many instant meals. They contain essentials like instant potatoes and freeze-dried peas. Sure- you can survive off of this, but eating just potatoes and mashed peas will get boring. Luckily, their freeze-dried meals are pretty cheap. The #10 cans contain individual pouches of about 4 servings each. Depending on the meal, the price per serving is pretty cheap. Compared to other emergency food brands, Augason Farm’s freeze-dried bulk foods are also very affordable. For example, a bucket of dried fruit will cost you about $54 per pound. Legacy Food Storage boasts some pretty impressive reasons to choose them over other brands of emergency food. They have the lowest cost per pound, their foods last 25 years, and their average calories per serving are high. I personally still prefer brands like Augason or Wise over Legacy. These brands don’t have as many calories per serving, but the ingredients are better. However, if you don’t mind the high sodium and added sugars, you’ll find that Legacy is one of the best tasting emergency foods out there. Best For: Those looking for the most calories. If you go by calorie count, Legacy Food Storage offers some of the best value for emergency food. These calories mostly come from starches and sugars – but at least this means that their meals taste great. When it comes to convenience, Legacy does a good job with their packaging. 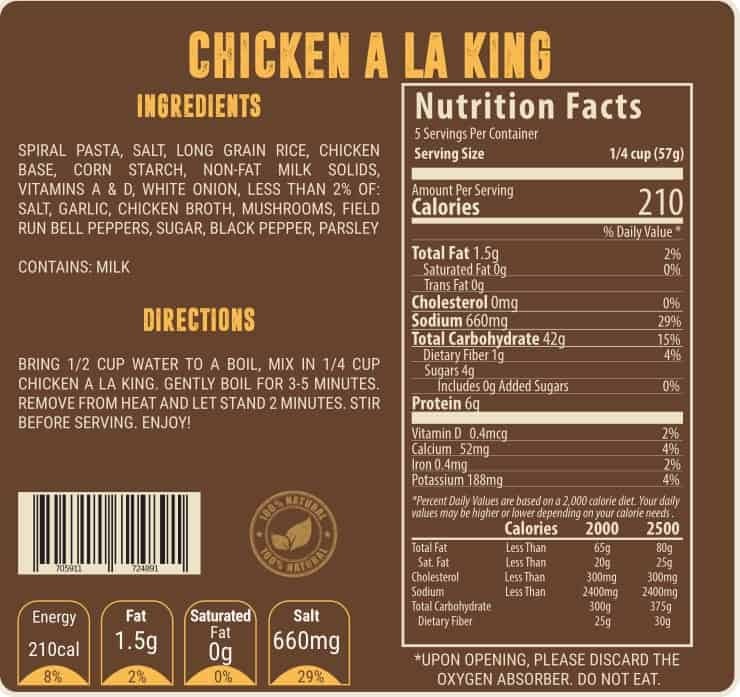 The products are packaged in resealable bags, each with a low serving size. Even if you don’t consume the entire bag right away, many of the products will still last for up to a year after the bag has been opened. The bags are put into buckets, which are sturdily built. The main selling point of Legacy Food Storage is that their meals have a higher calorie count than most other brands. However, I’m a little concerned about where these additional calories are coming from. Read the ingredients list of the meals and you’ll see that they have added sugar (cane syrup). This is part of the reason that Legacy emergency foods taste so good. 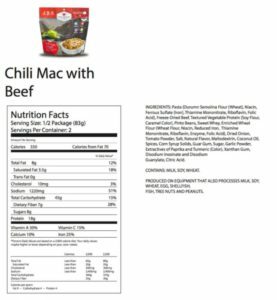 Factor in the very high sodium amount per serving (about 900-1000mg per serving) and you’ve got a tasty-but-unhealthy meal. For a short-term emergency, all that sugar and sodium won’t really matter. However, for a long-term emergency, it could take a toll. The sodium will stress you out. The sugar will cause your energy levels to spike and fall, leaving you tired and more stressed. Also note that Legacy Food Storage products are all vegetarian. 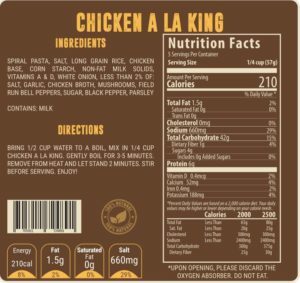 If you add their freeze-dried meat to the meals, the price per serving will go up dramatically. When you buy one of their emergency meal kits, the price per serving comes out to approximately $2.50 per serving. This is on-par with most other emergency food brands. The only difference is that Legacy meals have many more calories per serving. Those extra calories probably aren’t necessary, especially if you are hunkering down during the emergency. However, for people used to eating lots of calories per day, the extra calories can make Legacy products a better value. Mountain House Foods is really well known in the backpacking and thru-hiking community. Over the past several years, they have branched out to include emergency preparedness food kits. Note that Mountain House does NOT offer much in terms of freeze-dried foods or bulk foods (they only have a few cans of meat and crackers). However, they do have a great selection of freeze-dried entrees, breakfasts, and even desserts. Best For: Bug out bags and for people who have a large budget. The high protein content and quality ingredients make Mountain House meals ideal for bugging out. 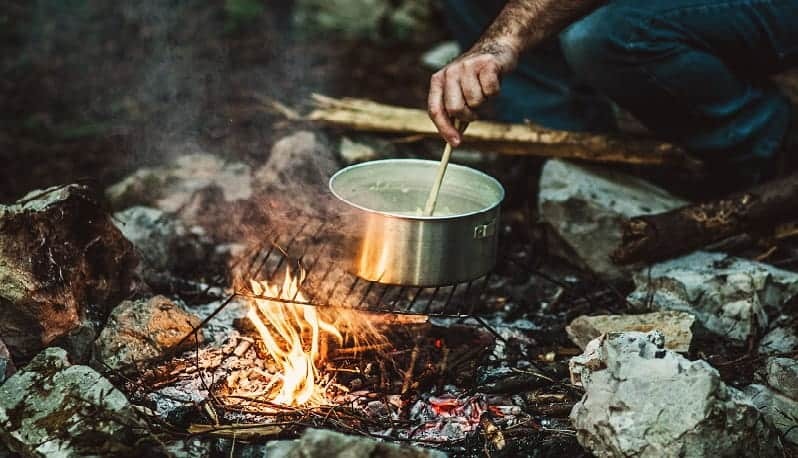 This quality comes at a price, so I’d only recommend their meals for long-term emergency planning if you have a larger budget. The emergency food kits by Mountain House are fairly disappointing. They are basically a way to get a slightly better deal on breakfasts and entrees. Mountain House products come in either pouches (with about 2-4 servings each) or #10 cans (with about 10 servings). There are also “Pro Paks” which are packaged to reduce weight and take up less space in your backpack. Previously, Mountain House said the shelf life of pouches was only 7 years. However, they now offer a “Shelf Life Taste Guarantee” of 30 years on all their pouches and cans (except for some desserts). I like the Mountain House pouches and Pro Paks. However, their #10 cans don’t contain any pouches. This makes them a bit impractical to use during an emergency: you’ve got to use up all 10 servings within a week or so of opening the can. Unlike other emergency food brands, Mountain House really focuses on quality of ingredients. 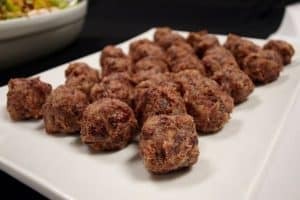 Their entrees actually contain meat and not just textured vegetable protein (which is why they are one of the best tasting emergency food brands without having to add tons of salt and chemical flavoring). The overall calorie count of meals might be low, but there is a lot of protein and nutrition in each serving. This is why thru-hikers love Mountain House so much. Mountain House is one of the pricier options for emergency food. Individual meal pouches cost about $10 for 2.5 servings, which puts the cost at $4 per serving. The cans are a bit more affordable at about $3.5 per serving. The best deal is their 14 day emergency food kit. It contains 42 pouches for a total of 100 servings. At $300, this comes out to $3 per serving. Yes, $3.00 per serving is a lot compared to other emergency meals. However, bear in mind that Mountain House is one of the few brands to use quality ingredients and actually include real meat in the meals. If quality and protein content is important to you, then the price isn’t so bad. Every brand featured here offers a decent product and their kits will provide a practical and convenient long term food storage solution for most people. Decide which combination of these is most important to you and you should be able to make a good choice with the information provided in this article. Check out the links below to investigate each company further.